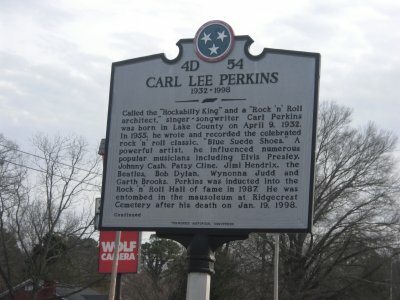 From Elvis and�Tina Turner to Carl Perkins and The Kings of Leon, the Tennessee Music Highway is the most important geographical location of musical�influence on the planet. 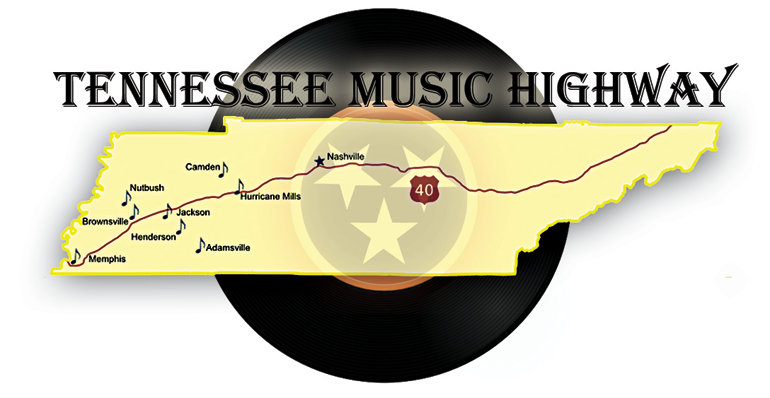 So much so,�the Tennessee Legislature officially proclaimed the �210 mile stretch of Interstate 40 between Memphis and Nashville the� "Music Highway"�in 1999. The opportunities�for�enjoying��your�favorite musical interests�are endless. The area provides� the� sites, attractions and legends of� the history of music�while promoting the music and�artists that� top the charts today. The goal of this website,��is to provide basic information on the sites along this famous Music Highway. Careful attention has been given to the accuracy of this information.�However, the accuracy cannot be guaranteed, due to changes in a location schedule/event or possible hours of operation, etc and�we suggest you�always contact the individual sites for availability. More changes for the website are forthcoming. Please check back to see these future changes. 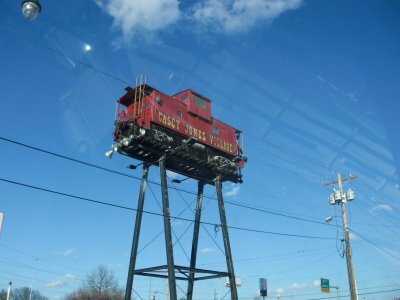 If the artist's name is underlined, you can click on his/her name to view more photos of that location. Graceland provides the ultimate Elvis experience - maintained much as it was when Elvis lived there. Take the guided tour of the home and grounds. 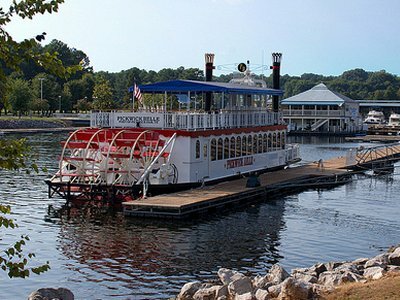 Hop on board his collection of private jets, car collection or tour the exhibits and shops. 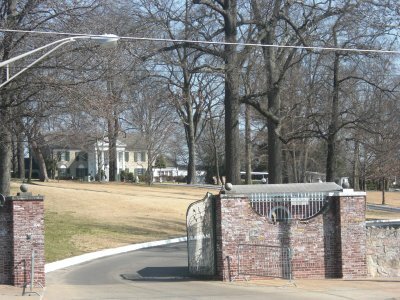 Graceland draws hundreds of thousands of visitors each year from around the world. Experience for yourself, why Elvis and his music continues to be celebrated around the world. Visit the official Elvis website, www.elvis.com. 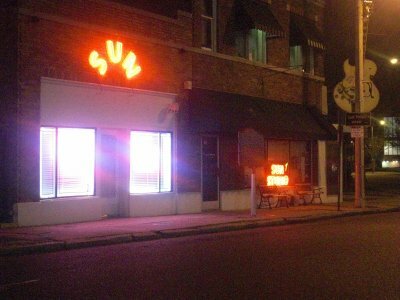 This small studio� in the heart of Memphis, is where The Million Dollar Quartet, changed the history of music. You can enjoy the sounds of Elvis, Carl Perkins, Johnny Cash, Jerry Lee Lewis, Roy Orbison, B.B. 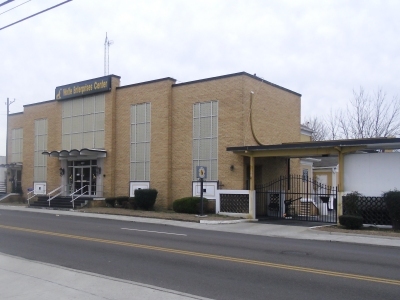 King, Rufus Thomas and other legendary artists, much as it was in the 1950's.�For more information contact : Sun Studio, 800-441-6249 or www.sunstudio.com. 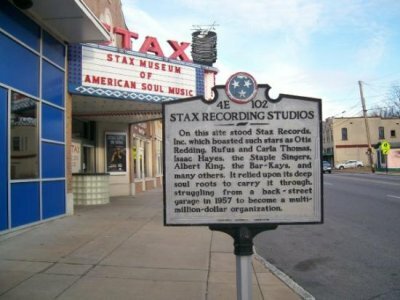 Constructed on the original site of Stax Records.�The museum �offers a fabulous view of Blues, Gospel and Rock and Roll from Isaac Hayes to Aretha Franklin. 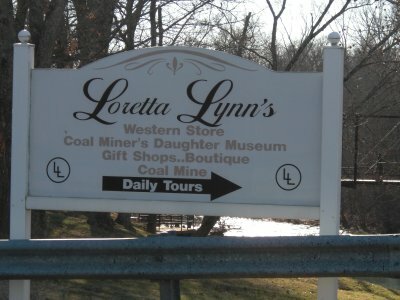 The facility houses everything from a country church to displays of cars, wardrobe and documentaries of�the beginning of soul music to today's musical genre. 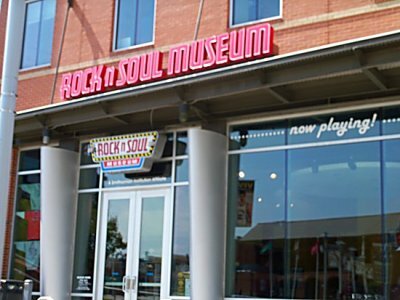 Don't leave Memphis without a stop at the Rock and Soul Museum or the Gibson Guitar Factory in downtown Memphis. It is well worth the effort. Tina Turner's Nutbush and Highway� No.19 are just down the road from Memphis. Nutbush is just a quiet little neighborhood nestled among the Haywood County cotton fields (actually there is not a city limit, but it went well�with the song)�. The famous Highway #19, was officially named "The Tina Turner Highway" by the Tennessee State Legislature in 2001. Tina's home is no longer standing, but the two churches where she often sang�in the choir during��Sunday services,� Woodlawn Missionay Baptist and Spring Hill Baptist, are still�keeping the faith. Home of Sleepy John Estes. 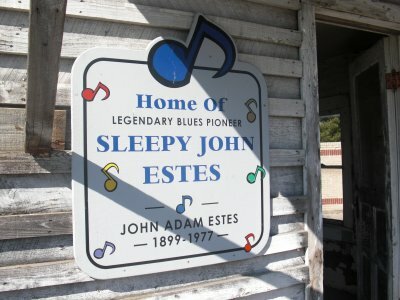 Visit the home of�the legendary, world famous� bluesman"� just east of Nutbush near Brownsville in Haywood County (and just off of I-40).He reached his legendary status, despite his poor and humble beginning. He teamed up with mandolinist Yank Rachell and harmonica player Hammie Nixon to play in and around Brownsville in the 1920's. He actually recorded his music for over six decades, including� Victor, Decca and Bluebird, Delmar and other record labels. While preparing to go on a world tour, he died at his home in Brownsville, Tennessee in 1977.� He�is buried at the Elam Baptist Church Cemetary in Lauderdale County. 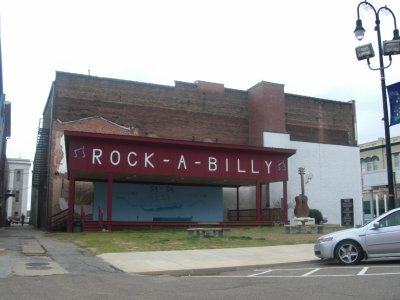 His home�was relocated to the�Center� and is open to the public, along with wonderful exhibits depicting the life of the area.��For more information�for the home and additional museum events, call The West Tennessee Delta Heritage Center @ 731-779-9000.
International Rockabilly Hall of Fame, located in downtown Jackson.�The facility houses �pictures of rockabilly artists and memorabilia.��An outside pavilion has been added for outdoor performances, as well as a beautiful mural.��For more information www.rockabillyhall.org. Born near Jackson, Tennessee he lived in the area until 1934 when he settled in Chicago, Illinois. He toured extensively with such legendary greats as Muddy Waters, Yank Rachell, Sleepy John Estes and many others. He has been called the "Father of the Modern Blues Harp", and credited with being the first artist to utilize the harmonica as a lead instrument. His "Good Morning Little School Girl", on Bluebird Records, (which later became RCA Records) in 1937 became a standard. 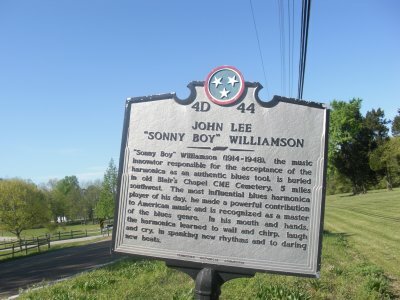 His performing and recording career resulted in him being called the most influential blues harmonica player of his time. This talented artist and band leader was killed during a mugging as he walked home from a recording session on Chicago's South Side in December, 1947. Williamson is buried near Jackson and the Bemis community. Many of his family members still reside in the Jackson area and have musical talents of their own. I appreciate them sharing their memories and stories with me about their legendary family member. He continues to maintain a strong musical legacy today. 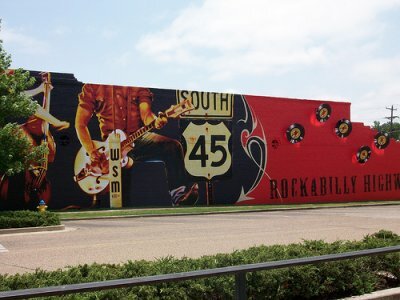 Henderson sets on the crossroads of the Rockabilly Highway and Highway 100, a well-travelled road between Memphis and Nashville. 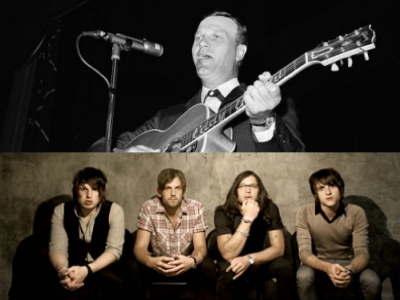 The quiet little town is the birthplace and childhood home of music legend, Eddy Arnold. 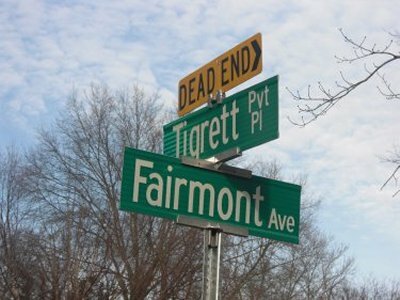 Many of his family still calls Chester County their home. And while they are anything but quiet, The Kings of Leon, lived and attended school in Chester County. 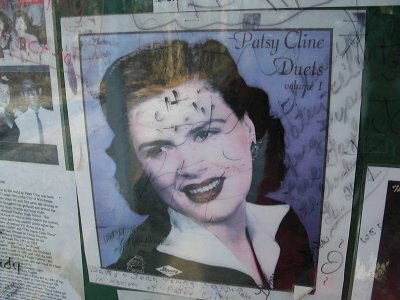 The Patsy Cline Memorial in Camden, Tennessee, Site�of the tragic plane crash that claimed the life of the legendary country singer Patsy Cline, Cowboy Copus, Hawkshaw Hawkins and (pilot) Randy Hughes�on March 5, 1963. I have visited the site at least three times and am happy to see the extensive improvements made to the site. �Exit 126 on I-40. For more information: 751-584-8395. 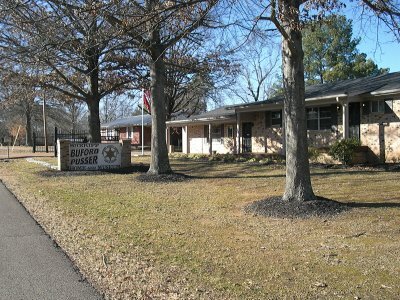 The Buford Pusser Home & �Museum. The famous "Walking Tall" sheriff's exploits�were featured in song and�movies. The�home contains memorabilia along with�his cars.I have visited the museum once and filmed a news report on location.��I have been known to take part� in the Buford Pusser 5k, along with my daughters, Rachel and Kellye, �when they were in school.� I still have my little plaque with the miniature "stick". �632-1401 or www.bufordpussermuseum.com. Nashville, the capital of Country Music". 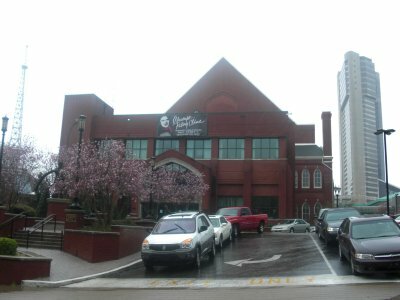 Nashville offers Music Row, the Ryman, The Country Music Hall of Fame,�the Grand Ole Opry and so much more!� What began with a radio broadcast in 1925, has turned Nashville into a world-famous stage. From Kid Rock to George Jones, to Nicole Kidman, �the artists that call the Nashville area home is just one aspect of this city's vibrant music scene.�It is a�fabulous town with�live music venues, major record labels, �music museums and�today's hottest music stars.